You have made it to your final year of studying! Many congratulations there. But be set for the most gruelling 10 months of your life, so far. As well as going to lectures, you have to find time to have a job which pays enough for you to survive, independent study, see family, see friends, pay rent, and all the other things that you will have to do when you’re studying. Some of you may know what you want to do once you finish, whether that is something to do with your course or not. For those that do want to go straight into a job that requires a degree, a good place to start is by looking at graduate employment schemes. Grad schemes are a great way to get your foot in the door and to get hands-on experience in the field. A lot of major companies, across all industries offer them. They last for a certain amount of time, from 6-18 months, and are paid positions. Now is the perfect time to start looking as this is when a lot of companies put their available positions up. But the amount of positions could be affected by Britain's decision to leave the EU. 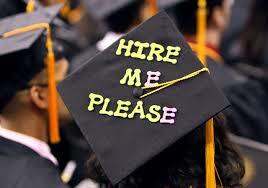 It is a very competitive process to go through, as a lot of graduates will be vying for the same position as you. So be sure to make your application stand out, if you need help, your tutors are great people to ask for help. They have been or are in the industry, so they know what employers want to see in an application. One of the most respected banking firms in the world recruits around 300 graduates per year, in various sectors, including law, accounting, HR, Investment Banking, finance and IT. They only have offices in London, so if you live out of the capital and are not prepared to relocate, this is not the position for you, but do not fear, we have plenty of companies coming up. They start you off with a competitive salary and there are no minimum requirements to apply, no wonder it is 15th in the list of the Times’ 100 best graduate employers. Please check the website for available vacancies. 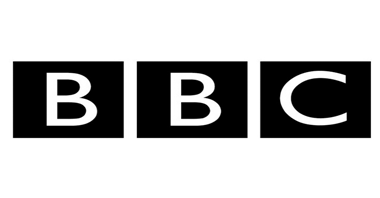 The world’s largest and most respected broadcasting company offer the most prestigious journalism graduate scheme. They may be prestigious but there aren’t that many of them, only between 35 and 40. For the flagship programme, the Journalism Trainee Scheme, last year there were 1,500 applicants for just 14 positions. Trust me; I know from experience how hard it can be. They are ranked 10 in the 100 graduate employers list, and you receive a full-on experience, working across all platforms, TV, radio and online. The schemes start at different parts of the year and are open for applications all year round, be sure to check the website for openings and you can even follow their careers Twitter page for updates. Position salaries start at £22,000pa and are based in London, Wales and the north-west of England. Ranked third in the list of graduate employers, Teach First will take on around 1750 graduates next year. They want people who are determined to challenge educational inequality. The company’s ranking has steadily improved over the past decade, except for last year, when they slipped from 2nd to 4th. The scheme is only based in England but they have offices all over the country. They offer a competitive salary and offer positions all year round in all sectors. Check out their website to be sure of deadline dates and tips on applying. 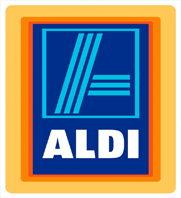 Aldi are ranked 2nd in the list of graduate employers, and have been up there, in the top 10 for the past 10 years. For management and retailing positions, all graduates are entered in the Area Manager Scheme. They offer an amazing salary for someone just leaving university… £42,000! They are one of the fastest growing supermarket chains in the country and the investment they have in their graduate scheme is one glowing indication as to why. But for that they want someone who has achieved a 2:1 degree and has at least 240 UCAS points. You can apply all year round, and there are offices all over the country, except for Northern Ireland. This is definitely the surprise package of the group, but be quick, because they only take on around 150 graduates per year. HSBC are aiming to be the world’s leading international bank. At the moment they have around 6,000 offices in 71 countries, serving 47 million customers. They are ranked 16th in the graduate employers list, after dropping down to 21st last year. They offer positions in investment banking, finance, sales and retailing. To apply you have to have a 2:1 degree in a relevant field and at least 300 UCAS points. They are set to take on over 500 people next year, offering a competitive salary and a potential position at one of their many offices in the UK. They have deadlines set all year round so please look at their website for specific information. No idea who this company is or what they do. I heard they’re some sort of internet-based company. Of course, it is one of the largest companies in the world right now. And they are 5th in the graduate employers list. They take on an unspecified number of graduates on per year for positions in consulting, IT, marketing, Human Resources, media and sales. They offer a competitive, yet unspecified salary; they have offices in London and the Republic of Ireland. But this may be the best company to have on your CV, given the sheer magnitude of it. They take applications all year round but it will take something pretty special for them to offer you something, so bring your A-game when it comes to submitting. 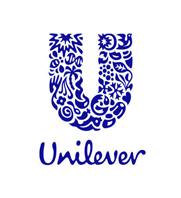 The company behind most of your toiletries and favourite ice creams advertise 50 graduate roles each year, and their scheme is 11th in the list. They have offices at various locations in England and Republic of Ireland, and will advertise approximately 50 positions next year, all year round. To apply you must have a 2:1 degree in a subject relevant to engineering, finance, HR, IT, logistics, research and development, and sales. In return they offer an annual salary of over £30,000 and a position at one of the biggest manufacturers of consumer products in the country. 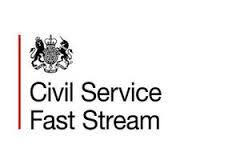 One of the most popular and highest volume of entrants in the UK, apply for a graduate position in the civil service, and learn the skills that could help you become an inspiring leader. This scheme is ranked 4th in the list. With over 900 positions in a wide range of sectors available, including finance, general management, human resources and more, this is the most diverse scheme to be a part of, and you will be working with the British government. With a starting salary of between £25k and £27k, it is an amazing opportunity to work for an institution and learn the skills to succeed in life, while earning great money. Positions are available at various locations in Great Britain (sorry Ireland), and be quick, there may be over 900 positions but they go quick. “A firm of problem solvers” as they refer to themselves, this company have huge offices around London, and are building even more office space. The ambition of this company is exciting to say the least. They offer up to 1,200 positions per year, at their offices all over the country, in what is the 7th best graduate scheme. You can apply for roles in accounting, property, finance, IT and consulting. They also offer a competitive salary, and in return they require a 2:1 degree and 280-360 UCAS points. You are able to apply all year round but most programs begin in September so be sure to check the website for specific information. And we finish with the number one. PricewaterhouseCoopers have held the crown for best graduate employer every year for the past 12 years! They are a professional service network and one of the four big auditing companies, along with Deloitte, EY and KPMG. They offer up to 1,500 graduate positions in accounting, law, consulting, IT and finance. And they have been described as giving graduates and undergrads the best hands-on experience thanks to their ever-expanding client-base. They ask for a 2:1 degree but in return they offer a competitive and a position at one of their state-of-the-art offices all over the UK and Ireland. And there you have it, if you want to see the full list of the Times’ Top 100 Graduate Employers then head over to their website. So what are you waiting for? Get applying!